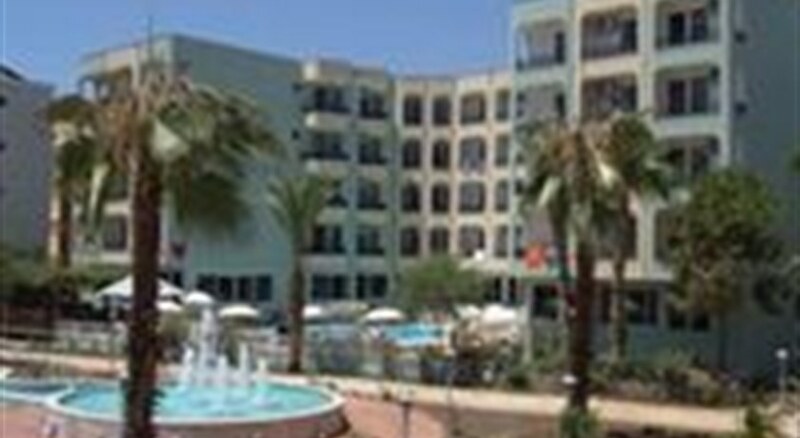 The Gunes House Hotel in Alanya is a three-star hotel built in 2003 and features 68 double rooms that are tastefully decorated. It is located on a main city street, making it easy for guests to enjoy the rich Turkish cultural delights the city has to offer. 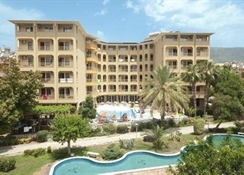 Facilities are geared towards a diverse variety of guestsâ€™ needs.Located on the busy street of Ahmet Tokus Boulevard, the Gunes House Hotel Alanya is right on the beach with the famous Cleopatra Beach just a few metres away. Other tourist attractions include the Red Tower and Alanya Castle, which are less than two kilometres away from the hotel. Due to its strategic location, there are shopping centres and restaurants within walking distance from the hotel.The Gunes House Hotel has highchairs in the restaurant so that children can enjoy the delightful meals in comfort. The hotel has 60 metres of private beach that guests can enjoy at no extra charge. For any medical emergency, there is a doctor on-call within the hotelâ€™s premises. It caters to the diverse needs of guests with facilities such as a conference room, a hairdresser and currency exchange services. Sauna, massage and steam bath facilities are available to ensure the guestâ€™s total relaxation.This small hotel is a comfortable haven with a quiet and serene environment. The family is also well catered for with facilities geared towards childrenâ€™s comfort and amusement.